I don't think this is your first time at spriting, right? And if they are, you're on a VERY good way. Personally, I like Bellumbeck. Bellum is too cool! Nice work man. Thank you! i have been working on Bellumbeck for quite some time and now i know it´s worth something! By the way I like your work too. It is not quite finished yet, I still have to do the ice mass. Did you get this photos from the internet of are they yours? I still have to do the second fase. No offense, just a heads up; You can't call everything "tMC style" because you placed it next to a tMC-Link graphic or because you used a few colors from the official game. There is a lot more to the style of the game and spriting in that style isn't the easiest. Here is the second ice mass, I just need to finnish the e statue thingy that she throws. Take a look to my Yeto. I really like your Yeto, I already saw him on your topic. Yeta is the right size, I checked it on the video and it was this big, here is a photo so you can see what I mean. 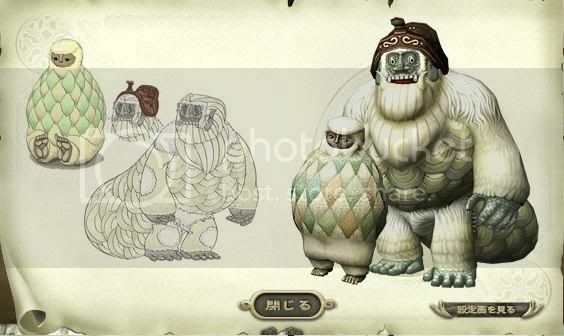 By the way, you should make the other vews of Yeto. look at the bright side, they are happy together now!! hereis my final yeta and blizzeta sprites, enjoy. Sorry for not posting in a long time, my internet crashed and i couldn´t contact ZFGC. Mean while I´ve been working on some cool sprites of the OoX Ganon in MC style. Please note that i´m just recoloring to MC style. Sorry, but it is still not MC Style, and it won't magically turn into MC style if you recolor it. OK, but it is it close? It fits the style more than regular GB sprites at least.